There are those that gauge the importance of an artist by the size of the back catalogue. But I’m not so certain that sticking around, and churning stuff out matters that much. Survival is a virtue, sure, but there’s a case to be made that the lesser recorded likes of the Fire Engines, Josef K, Soul Toronados and United States of America are that much more significant than the many loved recordings by say The Fall, Bob Dylan and Miles Davis. Less is more! So the few precious soul sides by Patrice Holloway take on almost religious importance, and become ciphers or symbols of something more. Patrice’s performances on these recordings may be the epitome of ‘60s femme soul, and that’s in the context of black American soul music being the highest art form of its time. I first came across Patrice in the early ‘80s on a compilation called Capitol Soul Casino. Her 1966 side 'Love And Desire' was featured alongside a selection of other Northern Soul greats like Nancy Wilson’s 'End of Our Love', Al DeLory’s 'Right On', The World Column’s 'So Is The Sun', Gloria Jones’ 'Heartbeat', and Sam Williams’ 'Love Slipped Thru My Fingers'. 'Love And Desire' was the song I kept coming back to. It had an effortless grace, and just flowed beautifully. A year or two on the song kicked off On The Soul Side, one of the earliest of Kent soul compilations. This time it appeared alongside the O’Jays’ 'Lipstick Traces', the Showmen’s 'It Will Stand', Jimmy Holiday’s 'Baby I Love You', and Timi Yuro’s 'What’s A Matter Baby'. It was quite a collection. In years to come I would find it remarkably strange that Greil Marcus’ Secret History of the Twentieth Century didn’t mention the O’Jays. It didn’t mention Subway Sect or Alternative TV either. Another year on, and two more Patrice Holloway performances were included on the Kent compilation Leapers, Sleepers and Creepers. One of these, 'Ecstasy', was the flip of 'Love And Desire', and was perhaps even more perfectly poignant. The other, 'Stay With Your Own Kind', was a stunning mini-opera, a pocket symphony of Romeo and Julietdimensions, portraying love on the wrong side of the tracks. It was to be the first time I saw the name David Axelrod listed as producer. I was not aware that he had also produced a couple of my then all-time favourites, Lou Rawls’ 'Dead End Street' and Cannonball Adderley’s 'Mercy Mercy Mercy'. It was not until Dean Rudland put together the populist soul sets, Talcum Soul, that I knew of any Patrice Holloway recordings appearing on CDs. 'Ecstasy' and 'Love And Desire' were salvaged by Rudland, alongside other soul greats like Ray Pollard’s 'The Drifter' and Irma Thomas’ 'What Are You Trying To Do?' Volume four in the series included Patrice’s 'Stolen Hours', another rare jewel from her ‘60s treasure trove. Given the widely acknowledged quality of these performances, it is astonishing we do not have more to savour. The Honey Cone Patrice came from a truly talented family. Her sister Brenda is perhaps best known for her astonishing performance on 'Every Little Bit Hurts', the best of her Motown moments, correctly covered by The Clash. And the girls wrote 'You’ve Made Me So Very Happy', a standard now but one that elicits a shiver of delight every time a cool cover emerges. 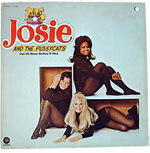 Perhaps because Patrice and Brenda were West Coast girls, rather than Detroit doyennes, the Motown moguls failed to capitalise on the magic the Holloway sisters possessed, but at least time is kinder and rare recordings are being salvaged from the Motown cellars to meet the voracious demands for soul music. There is an amazing and consistently great Brenda Holloway anthology available, and a few recordings that Patrice made for Motown have emerged. Most significant of these is her rendition of 'The Touch of Venus', a song which many soul fans had loved the Sandy Wynns version of for a long, long time. Sandy Wynns herself is better known now as Edna Wright of the Honey Cone, a part of the great Invictus family. She appeared with Patrice Holloway, and many other great West Coast soul singers of the ‘60s as part of The Brothers and Sisters, the blessed Lou Adler-led project to create a gospel set out of Bob Dylan’s songs. It’s completely crazy, but works a treat. The cast also included Merry Clayton, Gloria Jones, Clydie King, Sherlie Matthews, Carolyn Wills, and Patrice’s close colleagues Gene and Billy Page were present. Dylan himself cites these as some of the best performances of his songs. LA in the ‘60s was an incredibly creative climate, and you can see how fortunate producers like David Axelrod at Capitol were at the time to have such talent freely available. We will perhaps never get to the bottom of all the permutations, and who sang on what, but cratediggers and soul seers still keep on searching, and new clues emerge all the time. A great example of this is the salvage work at LA’s Mirwood label, always a touchstone of the cooler mods. Now we know more about what went on at Mirwood thanks to the soul expeditionaries and excavators at Kent. The tales included in the Mirwood Soul Story include that of Sherlie Matthews, and how she came to be a great songwriter, and performed some of her creations as part of the Belles, with Patrice and Brenda Holloway moonlighting from Motown. Their 'Words Can’t Explain' and 'Don’t Pretend' are absolute beautiful soul works. Patrice would be heard many more times and in many ways. She’s there on 'Expecting To Fly'. She contributed to Neil Young’s first solo record and Buffy Sainte Marie’s Moonshot. She can be heard on records by Beaver and Krause, and on Skylark’s Wildflower. And she’s there on the soundtrack to Mahogany. The sad thing is that she did not get to make records of her own, and there must have been times when she was providing backing vocals for someone like Joe Cocker that she must have wondered what all this was about. But then if you have made recordings as great as 'Ecstasy' and 'Stolen Hours' which were largely ignored you must have a pretty low opinion of the music industry, and a steady wage and scant hassle helping out a bigger name might well seem a reasonable way of getting by. An intriguing adjunct to Patrice’s story is her should I say personification of the Valerie Brown character from the Hanna Barbera cartoon series of the early-‘70s, Josie and the Pussycats. This was an all-girl pop group who got caught up in all sorts of capers and mysteries. Patrice provided the vocals for Valerie’s character, the first black American cartoon character on TV. The recordings from the series remain ridiculously rare, despite a Rhino Handmade reissue. One of her co-characters was to become Charlie’s Angel Cheryl Ladd. Patrice, though, remains our angel, and the Capitol recordings she made in the mid-‘60s capture exactly why the soul music of that time is so special.